Track of the dismantled railway near Bledington, Oxfordshire – Kingham to Stow line – looking towards Kingham. Vanishing point…in so many ways! 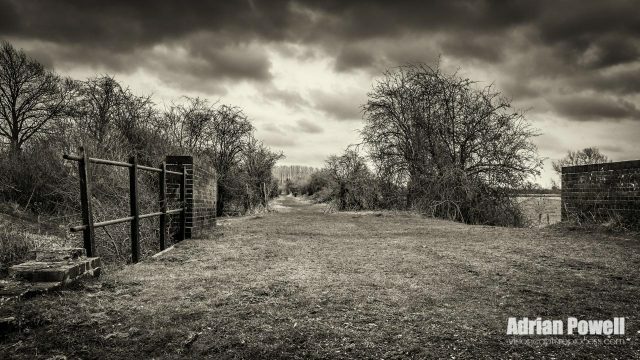 Artistically, we have converging lines from the track, bridge and railings meeting at the vanishing point at the base of the trees in the distance; Historically, this the track bed for a long dismantled railway – here it is fairly clear, but elsewhere it is vanishing – quite overgrown and being reclaimed by the countryside. The railway here was dismantled as part of Dr Beeching’s rationalisation of the railways in 1964 when so many of the railway lines across the country were deemed unviable. 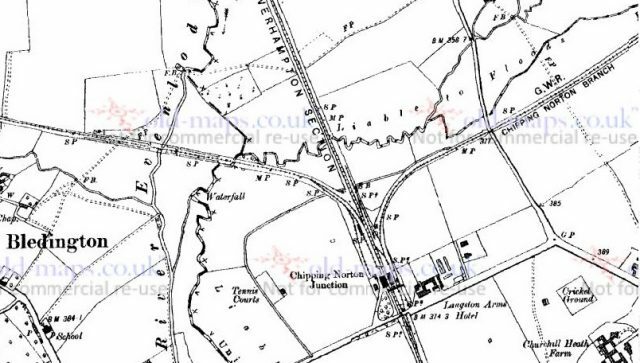 From the maps below, you can see how the railway evolved…maps credits to old-maps.co.uk – click the maps to go to the scrollable map on the old-maps site. 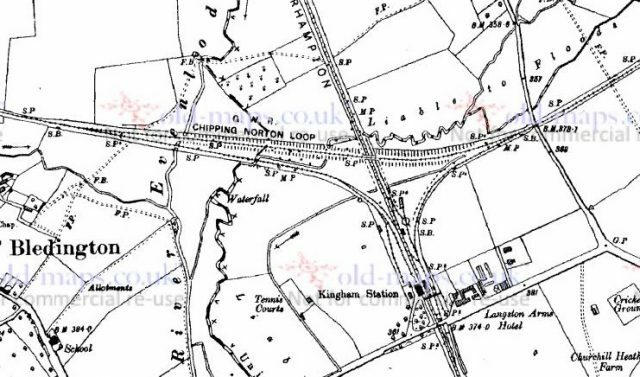 Interesting to note that the station was called Chipping Norton Junction at this time! 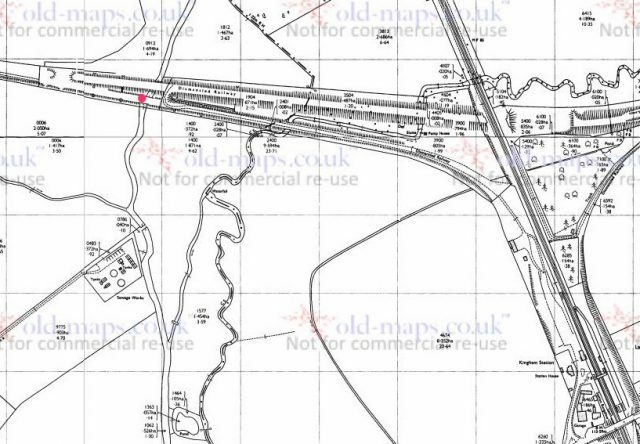 But, by 1980, all the track has been removed except for what is now the North Cotswold line running from London Paddington, via Oxford to Worcester and Hereford. The red dot indicates where I was standing to take the picture. 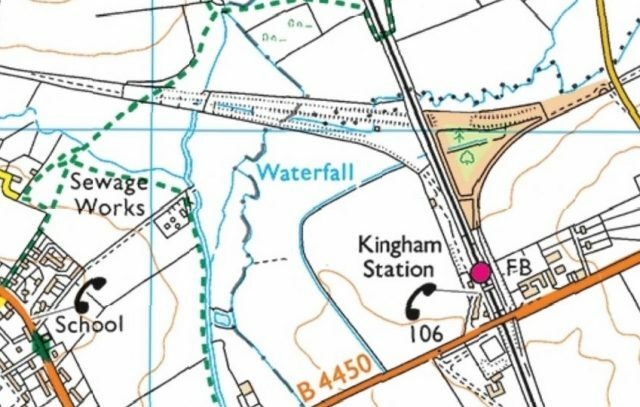 And finally, how things are today – credit to Ordnance Survey Maps on maps.bing.co.uk – Map links to Bing, but they don’t seem to provide any way to give a URL for a location – search for Kingham Station and switch to Ordnance Survey map view.